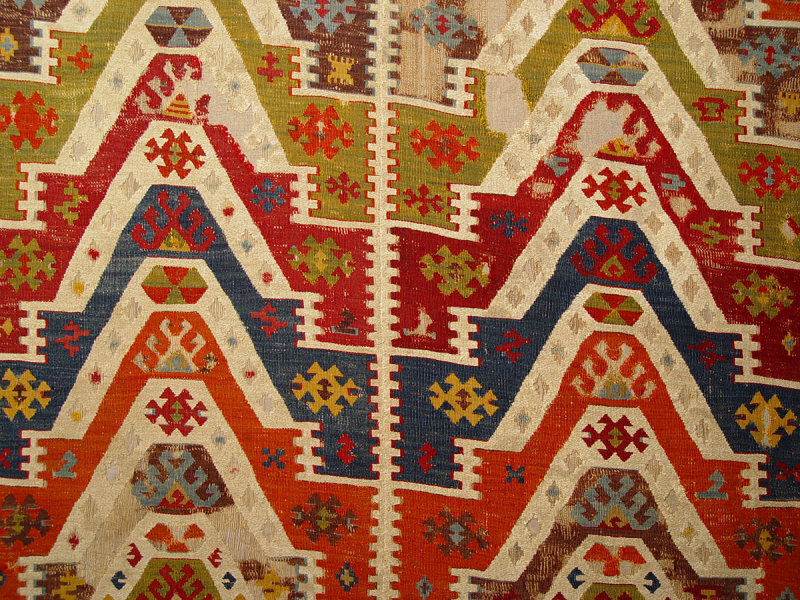 Close-up of the ‘piled prayer niches’-design of a Konya kilim, 18th or early 19th century. This particular type of prayer rug has seven or ten prayer niches, which are piled up vertically and marked out by the white sections. - several ‘çengel’ (hook; the small red S-shaped motif), a protection against evil eye, used to reduce the effect of the evil glance, which is believed to be a power possessed by some people, that causes harm, injury, misfortune and even death.